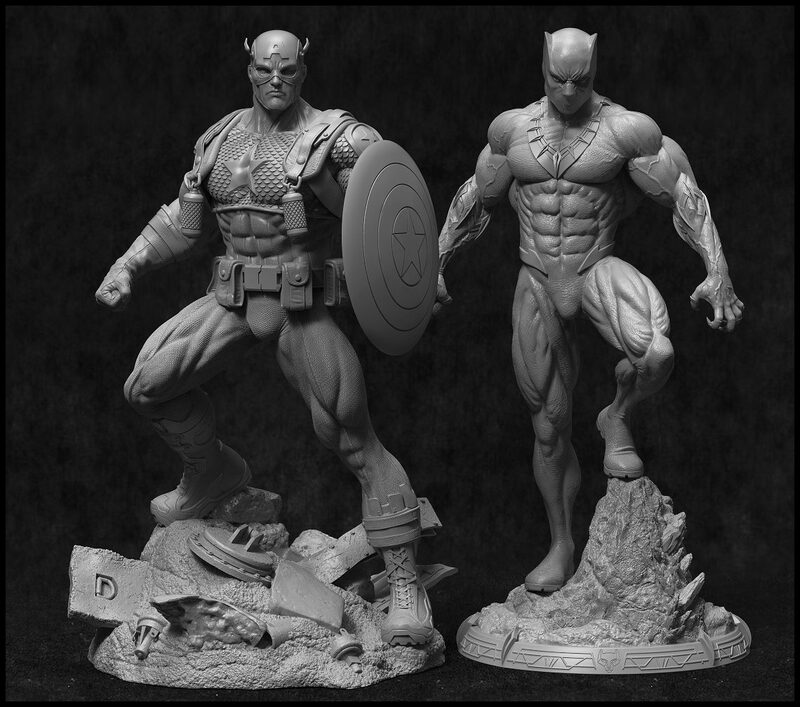 I decided to pre-order this cool duo, it’s an Ultimate Captain America and Black Panther, sculpted by the talented Avi from AY Sculpture. Black Panther will be at the painter in September, but Captain America will probably closer to the end of the year. Awesome duo, 30 statue run for Capt. and 25 for Panther, so quite unique. NullMind on Sabertooth is now painted ! Walter on Sabertooth is now painted !